The prospect of getting frostbite is thoroughly terrifying, conjuring images of blackened limbs and amputated digits. However, most of us just jokingly conflate it with being super duper cold, and the sort of ailment only people scaling Everest or living in Siberia might need to worry about. Yet, under the right not-so-exceptional conditions, it can set in rather quickly, and do irreversible damage to your skin (or worse) without you even realizing it. 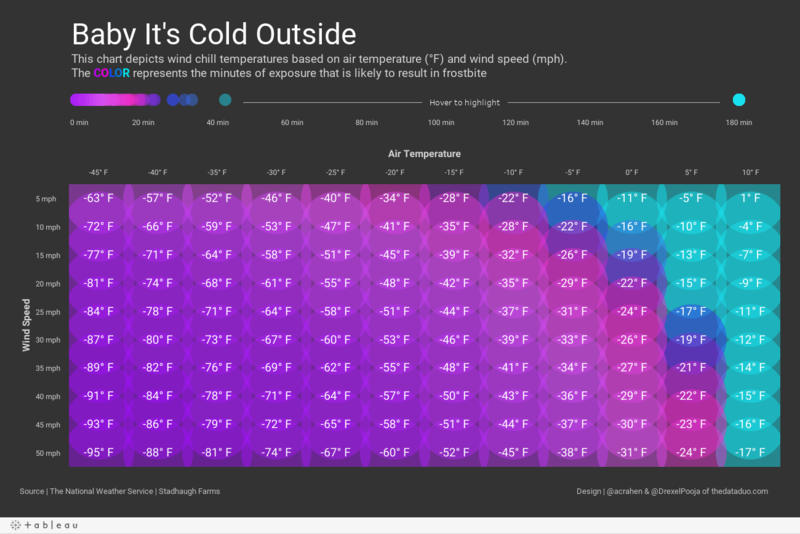 Fortunately, an intrepid data visualization enthusiast assembled a handy interactive table that can tell you exactly how long it'll take for frost bite to set it, depending on the current temperature and wind speed, so you know when you're at risk. Check out the chart, which was created by Adam Crahen using National Weather Service data and posted to tableau.com, in full below. 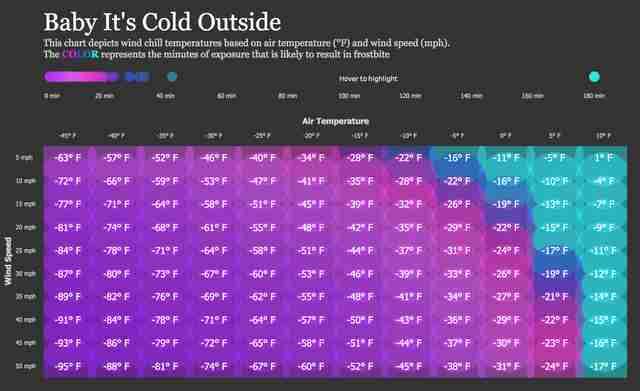 The X axis of the chart depicts the air temperature, from -45 degrees to 10 degrees Fahrenheit while the Y axis depicts wind speed from 5 to 50 miles per hour. To determine how long it'll take for frostbite to set in, you simply hover over the section that aligns with the current conditions wherever you are and a window with relevant info will pop up (it'll also highlight the other conditions under which frostbite is likely to set in within the same timeframe, and show you the "feels like" temp). When it's 0 degrees and the wind is 15mph (considered "breezy" by the National Weather Service), you're at risk of frostbite in a little over half an hour. Frostbite will kick in in under 30 minutes when it's 5 degrees and the wind's blowing at 30mph (producing a "feels like" temp of -19 degrees). 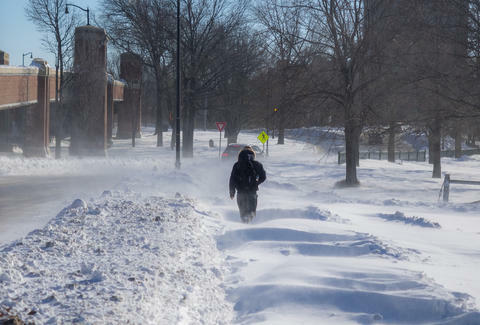 Generally speaking, it'll take hours -- if at all -- for frostbite to kick in when the temperature is 10 degrees or higher, no matter the wind speed. The bottom line is that you should suit up properly when it's crazy cold out there, keeping minimal skin exposed, and when in doubt, take a break and duck inside for a warm-up.